Throughout the 18th century Newport, Rhode Island on Aquidneck Island developed into a center of maritime commerce. As ship traffic increased into the busy port, the need for a lighthouse became apparent. The harbor was protected by a small island, a half mile long and 200 yards wide, lying just offshore. Off the northern end of the island, a treacherous reef was a danger to all shipping entering the harbor. Lighthouse authorities decided to build a lighthouse to mark the reef lying off Goat Island in the early 1800’s. 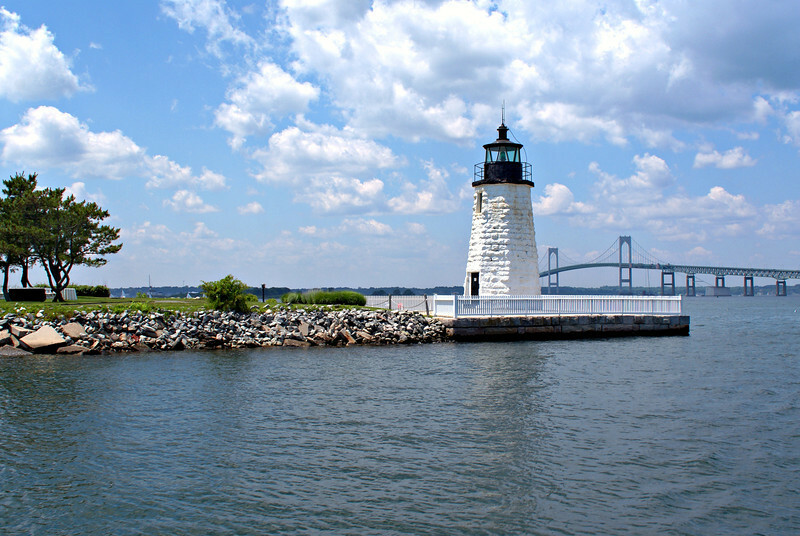 Early in Newport’s history the small island was used to graze herds of goats. From this it derived its name, Goat Island.